Get to know Wilson Glaze in our first #TeamTuesday blog series post! 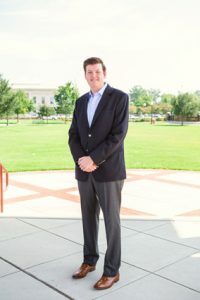 Wilson has served as The Gray Group’s office assistant for two years while he pursues a degree in real estate finance at The University of Alabama. He is dedicated, motivated, and an asset to our team. What made you interested in real estate? I have been interested in real estate since I was a kid. My grandfather has been a REALTOR® for 40 years, and I grew up going to his office. I thought it was so cool that he had tons of giant signs with his name on them. My dad was in commercial real estate, my aunt is a real estate agent in Austin, TX, my other grandfather owns and leases real estate, and my great grandmother was a real estate agent. I guess it’s in the blood. What’s your favorite thing about living in Tuscaloosa? I love Tuscaloosa because it’s a college town. It’s full of energy, but during the summers and winter it slows down as the college students leave, and you get the whole town to yourself. I want to be remembered as someone that when you came in contact with me, your day was brightened. Whether it’s a joke or compliment, I love to make people smile. Within the next year, I want to have my real estate license, and help my team sell more property in whatever way I can. I attend classes every morning. I run signs out and purchase 1,000,000 stamps. I run and play pickup basketball because what else would a tall person do? I’m happiest when I am hanging out with my guys, just shootin the breeze, talking sports, and doing nothing important. I am an upperclassmen small group leader for First Baptist Church’s College Ministry, and I am on their leadership team. Click here to read Wilson’s full bio.